Adams also announced a $5,000 reward to any tipster who provides information in a suspected hate attack on fashion student Taj Patterson, 22, in Williamsburg, Brooklyn. 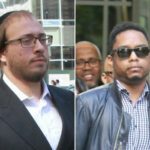 Patterson said a dozen Hasidic men savagely beat him Dec. 1 as he walked home. 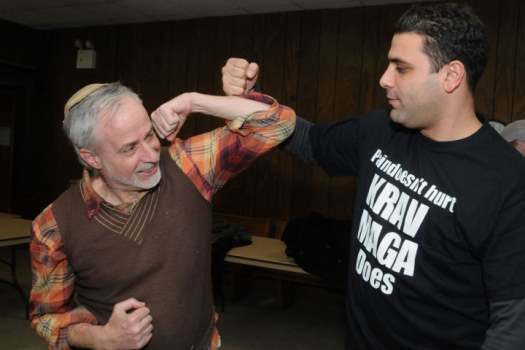 Krav maga is also a great workout I hope there will be seperate classes soon. These are the right steps and I applaud those who attend. As any with any fighting art it takes dedicated practice and training multiple days a week, sparring helps to, to be truly effective against an assailant. so does any one know of seperate classes for men only? and ends with jail time. Throughout the history of our people we’ve had many movements who fought back, but in the end, once our children learned how to through a punch, they used it at school, against their own people, their own families. When shimon and levi claimed “should they make our sister a prostitute?”, Jacob remained silent. Because he knew where these “fight back” attitude leads to. (puting a brother in a pit, etc). You don’t need to take my word for it; Shimon and Levi didn’t. They learnt the hard way. we all do. Wow thats the victim mentallity. Self defense ends with jail time? Leads to brother against brother? Why don’t you express that sentimant to any holocaust survivor who was part of or saved by a resistance group. You are also aware of the history of the jews where they are time and time again victims of vicious anti-semitisim, pograms, and genocide for thousands of years? Perhaps if jews were raised as fighters they wouldn’t be always the victim or a target. I’m beside myself with your utterly dangerous comments. I agree with you. It makes no sense. That’s why we learn the hard way. I don’t think turning the cheek will do us any good. We have no choice but to retaliate. But in the end, our ways is not theirs. And in the end our hands will have blood on them just as theirs. I agree our ways are not theirs, but I prefer to have their blood on our hands as opposed to losing more Jewish blood.